Program - Mono Basin Bird Chautauqua | An annual birding and nature festival that offers field trips, art workshops, science presentations, photography seminars, live music, delicious food - participants will see birds, butterflies, wildflowers, bighorn sheep, small mammals, historic spots, and more. 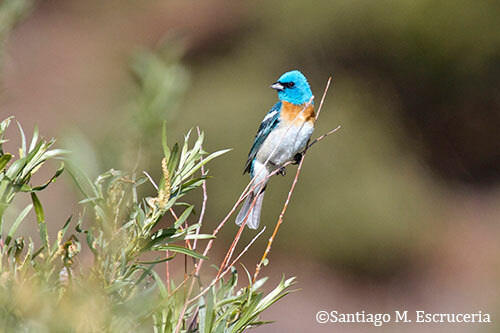 Experience birding and natural history in the Eastern Sierra in June. Programs highlighted in blue do not count towards your Chautauqua program total and are open to the public. The Mono Basin's climate action group, 350 MONO, will present an afternoon of education on high elevation climate issues in the Eastern Sierra. Bird enthusiasts are invited to spend an extra day in the area and attend a series of afternoon talks on a wide array of topics including Mono Lake, desert pupfish survival, tree adaptations in Devils Postpile, and the long-term GLORIA project, which monitors changes in alpine vegetation over time. Electric vehicles will also be featured, with an outside display and a session from the Electric Auto Association of California. We hope attendees will be inspired to take action in their own lives and communities to encourage climate progress. No charge and open to all. Mono County is notable for spectacular scenery, great birding, and a growing collection of high-elevation breweries. Combine your love for birds and brews on this relaxed afternoon trip, which will introduce you to some great birding at a few local hotspots as well as great beer at some hotspots of another kind. Bring your binoculars, proof of age, and a thirst for birds (beginners and experts alike are welcome). We will provide a fourteen-passenger van and a sober birding guide. One beverage per person per brewery is included in the program cost; participants may purchase additional beverages and food. Approximately one hour drive each way to Black Lake Preserve. Bird vocalization is nature's language and bird songs are nature's music. We can plug into this magic no matter how good we are at finding birds with our eyes—these sounds are already coming at us from 360 degrees. The focus of this workshop is to increase our birding enjoyment by improving our skills as auditory birders. Some prior experience trying to identify birds by ear will surely be useful, but motivation to learn is more important than experience; all experience levels are welcome. 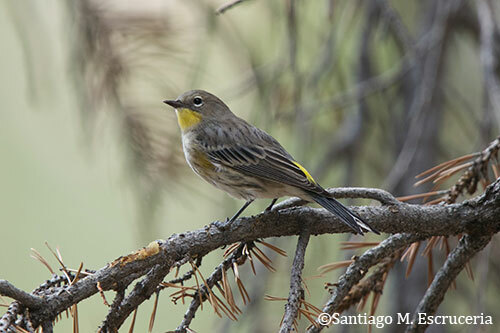 We will explore the principles of cognizing and describing bird vocalizations in general as well as become familiar with specific vocalizations of common birds in the Mono Basin. This workshop is a prerequisite for the Saturday and Sunday Bird sounds field studies (#203 and #303). You spot a bright and beautiful bird, snap its picture but end up with only an out-of-focus branch where a bird once sat. Now, with just a little instruction, you can master ISO, shutter speed, aperture, and focus mode. Many amateur photographers have spent hundreds or even thousands of dollars on a camera that they use only on the automatic setting. Think of it as a self-driving Ferrari of which you never take the wheel. Learn to take control of your camera and you can, with a little practice, end up with only an in-focus branch where a bird once sat. What does the Sierra Nevada's changing fire regime mean for populations of birds and other wildlife, and what can land managers do to maintain biodiversity as fire changes the landscape? We often think of the changing fire regime in terms of increases in fire size, but other fire characteristics beyond size may also be as important in shaping post-fire wildlife communities. Rodney Siegel will discuss the concept of pyrodiversity, explain why pyrodiversity matters for maintaining biodiversity in Sierra Nevada forests, and provide examples of actions or approaches land managers might take to enhance pyrodiversity to benefit wildlife. The Antarctic continent and South Georgia Island manifest some of the most severe weather on Earth. Storms lash beaches at any time of year, inland temperatures plummet to -80 °F for weeks, and summer lasts just four months. Yet more than 46 species of our feathered friends thrive under these conditions. We will explore the sea-based birds with reputations almost as large as their wingspan: albatross, petrels, and shearwaters. Then we will wander ashore to learn about grass-based species such as the beautiful Long-tailed Meadowlark and endemic species such as Cobb's Wren. Of course no trip to the Southern Ocean would be complete without a treatise on the seven amazingly well-adapted penguin species that manage to bring a smile to everyone. Join us early Friday evening at the Lee Vining Community Center as we kick off our eighteenth annual Mono Basin Bird Chautauqua! Meet old friends, chat with field trip leaders and presenters, socialize, eat, and make merry. Dinner will be prepared by local caterer Daniel Molnar of Daniel Molnar Private Catering and First Chair Food Truck. Dr. Clay will illustrate the network of linkages that connect Mono Lake to the rest of the hemisphere through shared migratory birds, with a particular focus on shorebirds, and underline the interdependence that exists between these networks of sites. He will report on the pivotal role that Mono Lake played in the early development of the Western Hemisphere Shorebird Reserve Network, and outline opportunities for future collaboration. Insects comprise of over two-thirds of Earth's terrestrial organisms, yet relatively few people pay close attention to them. In this presentation, Kristie Nelson will overview recent research on the status of insect populations, review bee and pollinator diversity, and discuss ways you can get involved in insect conservation. Declining populations or even localized extinctions of insects risk not being noticed and, unfortunately, in most areas there are little or no baseline data to track insect population trends or distribution changes; however, you can help create vital baseline data using modern technology. From Lee Vining, drive approximately five miles south on Highway 395. Turn left on Highway 120 East and travel another five miles to the South Tufa/Navy Beach turn-off. Turn left following the signs to the left toward the South Tufa parking lot. This full immersion "dirt time" experience into the natural world is an invitation to spend a day in the field exploring, grounding, and having fun connecting with our own wild and true selves, one another, and the natural world. This curiosity and passion-led program for adults provides unforgettable experiences, while developing an appreciation for the beautiful and wild places of the Mono Basin. "Dirt time" means hands-on fun, so be prepared to get a little dusty and dirty! Raptors are highly intriguing members of the bird world. This presentation will focus on the life history of the hawks, Accipiters, falcons, and eagles that are common in the Mono Basin and Bridgeport Valley. The program will include a number of taxidermy mounts for identification and discussion. One of the most important stopovers for migratory birds in the Americas is in danger: Lake Mar Chiquita. Hernán Casañas will share Mar Chiquita's attractions and the work being done to protect it as part of the largest national park in Argentina. What can you tell from fur, feet, and teeth? What "sign" will tell you what animal was there before you? Native mammals will be discussed, using skulls, fur, natural history, and the signs those animals leave. Interpretation of what you see, and what you might not see, is important for understanding the animals that live in our own backyards. For kids of all ages. Phalaropes are iconic at Mono Lake. They unite the western hemisphere's saline lake habitats with their impressive migrations from Canada to South America. 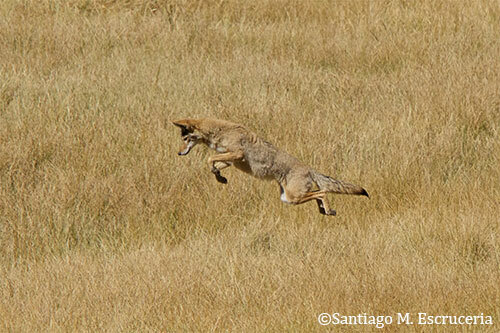 Despite numerous serious threats across their range, their conservation status is not well understood. This international panel discussion will host a few researchers at the forefront of conservation and research efforts for phalaropes at Mono Lake and in South America, especially from Laguna Mar Chiquita in Argentina, where efforts are underway to create a national park at one of their most important wintering sites. They will discuss what the scientific community knows now and what they are hoping to find out. Bartshé Miller will moderate. The British invented "scraper board" as a tool in zoological illustration. "Scratchboard" to Americans, it is a beautiful and forgiving medium producing crisp graphics with a unique charm. We will use both black and white scratchboard as well as experiment with some of Ane Carla Rovetta's unusual variations. Mention flycatchers to North American birders and many will change the subject. Some birders might argue about the lumping and splitting of species in the Empidonax genus—the "Empids"—and others may tell you about their favorite backyard phoebe family. No doubt, flycatchers can pose some tricky identification challenges, especially in North America, where so many look so much alike. Beyond the identification problems, however, flycatchers have fun stories to tell. From our own temperate latitudes to the neotropics, the New World flycatchers represent the world's largest—and one of the most fascinating—families of birds. Climate change is responsible for population declines in many species, often through habitat loss. Rapidly changing conditions can also cause population declines by disrupting animals' ability to time important events like migration and reproduction appropriately. Timing mismatches occur when animals fail to coordinate important events like breeding with key conditions, such as a seasonal peak in food availability. Carry-over effects occur when the timing of one life cycle stage (e.g., breeding) degrades the success of subsequent stages (e.g., plumage molt) through a domino effect. The impacts can be particularly acute for long-distance migratory birds that must time precisely their use of widely dispersed locations. Timing mismatches and carry-over effects are exacerbated by climate change, and need to be added to the litany of challenges our activities present to our fellow travelers on Planet Earth. Approximately 30 minute drive each way to Green Creek. Join Keith for a session of bird illustration. Learn to capture birds on paper with techniques that will aid and enhance your experiences while birding. Whether you want to render quick impressions of birds in the field for your notebook, or create something of beauty that you have seen, this class will help you to achieve that goal. With step-by-step demonstrations, Keith will cover many elements, including basic anatomy and form, perspective, foreshortening, effects of lighting, negative space, background contrast, and others that will give you a good foundation for rendering your own images. From beginner to expert, this class will aid in and increase your overall enjoyment of your time spent in nature. • Any kind of notebook or sketch pad you would like. • 2 or 3 pencils with various hardness from medium to soft. • Razor blade/sharp pocket knife as well as some "not too rough" sandpaper for keeping pencils sharp. • An eraser, either an "Art Gum" or "Magic Rub." Join us Sunday afternoon for a picnic in the park complete with live music. This is a perfect way to kick off your summer by enjoying lunch, relaxing in the green shady glow of County Park, and immersing yourself in music. Feel free to bring your own lunch or consider purchasing lunch for $10 at County Park, which benefits Lee Vining High School. We'll continue our traditional bird calling contest. Come enjoy good food and live music with new and old friends as we recap the weekend's bird sightings or steal away down the boardwalk for a last-minute glimpse of the birds. This is a great way to end the Chautauqua! A fun event for people of all ages. To get to County Park from Lee Vining, head north on Highway 395 approximately 5 miles and turn right on Cemetery Road. Go down the hill and look for parking directions. Carpooling from Lee Vining is highly recommended. Wrens, warblers, woodpeckers, and waterbirds can be seen in this rich variety of habitats. We'll make our way from the sagebrush through the old cottonwoods, around the willow thickets, and down the boardwalk to the shoreline of Mono Lake. Led by a Mono Lake Committee naturalist. Open to kids of all ages. Friday 8:00am–10:00am. No registration required. Sunday 8:00am–10:00am. No registration required. Meet in the parking lot at Mono Lake County Park. Discover the unique waters and wildlife of Mono Lake at South Tufa off Highway 120 east. It is an easy, 1-mile, 1.5-hour walk with a naturalist among the spectacular tufa towers on the lakeshore. Bring water, a hat, sunscreen, and binoculars. Entrance fee is $3.00 per person for a one-week pass. Visitors ages 15 and under are admitted free. Open to kids of all ages. Saturday 1:00pm–2:30pm. No registration required. Sunday 1:00pm–2:30pm. No registration required. Meet at the South Tufa site. From Lee Vining, drive approximately 5 miles south on Hwy 395. Turn left on Hwy 120 East and travel another 5 miles to the South Tufa/Navy Beach turn-off. Turn left following the signs to the left toward the South Tufa parking lot. The Mono Lake Committee Information Center & Bookstore offers a free film, educational exhibits, and an art exhibit. You'll also find an excellent selection of regional books, maps, T-shirts, posters, local crafts, and specialty gifts. The Committee also houses the Lee Vining Chamber of Commerce with information on lodging, dining, and recreation opportunities as well as weather and road conditions. The Mono Lake Committee will be open from 8:00am–9:00pm daily during the Chautauqua, call (760) 647-6595 for more information. The Mono Basin National Forest Scenic Area Visitor Center features an excellent view of Mono Lake, interpretive displays, natural history trails, and the Eastern Sierra Interpretive Association bookstore. Make sure to check it all out during the Chautauqua! The dramatic Mono Lake film Of Ice and Fire will be shown in the theater when possible. Call (760) 647-3044 for more information. A great place for kids of all ages. The Visitor Center will be open 8:00am–9:00pm on Friday and Saturday with the exhibit hall closing at 6:00pm during the Chautauqua. Regular Visitor Center hours are 8:00am–5:00pm daily; call (760) 647-3044 for more information. The Mono Basin Historical Society Museum, located in Lee Vining at Gus Hess Park, houses a fascinating collection of materials and photographs from the Mono Basin's past. See Native American artifacts, gold mining implements, and even the legendary upside-down house! A great place for kids of all ages. Call (760) 647-6461 for more information.